We would like to congratulate Graham one of our Senior Service Advisors in our Service Department. 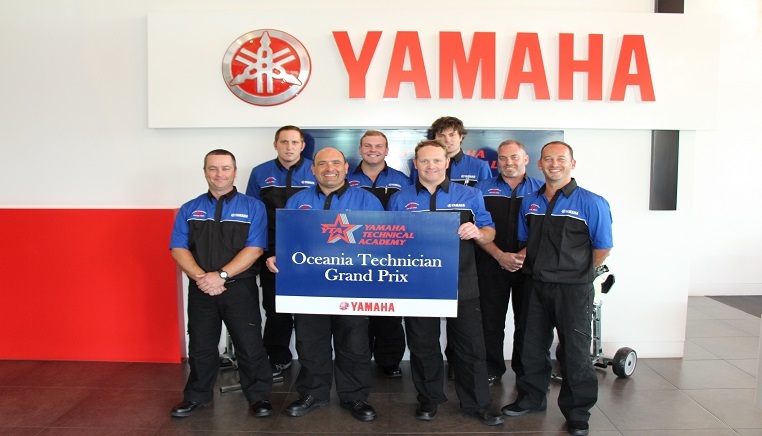 Graham ranked as one of the top performers in the Yamaha Marine Oceania Technician Grand Prix held recently. He was one of eight finalists throughout Australia and New Zealand selected to compete in a days contest working on Yamaha Outboard Motors. Graham did not take the honours this time around as the competition was very high (congrats to Tony Powell of Telfer Marine in Rotorua New Zealand on this fantastic achievement), though we are very stoked to have one of the elite Yamaha Outboard Technicians in Oceania on our team. The Yamaha Marine Technician Grand Prix, which took place on the 16th of November 2016, is a technical knowledge and skills based contest, held at Yamaha’s National Marine Training facility in Brisbane. The event brings together the very best Yamaha Marine Technicians from Yamaha dealerships all over Australia and New Zealand. These exceptionally skilled technicians represent their dealership, state, and country, in their quest to be crowned the most outstanding marine technician in the Trans-Tasman region. The competition, held biennially, is a major highlight for the Yamaha Technical Academy (YTA), who pride themselves on the skills Yamaha technicians develop through the extensive training the academy delivers. YTA’s mission is to keep Yamaha’s Marine Technicians up to date with the cutting edge skills and knowledge required to support the ever developing range of Yamaha outboard engines. After all potential candidates have completed the online qualifying assessment, eight finalists from regions across Australia and New Zealand are selected to compete in the official event. The event breeds ambition and healthy competition within Yamaha workshops, as technicians aspire to be selected to attend the Grand Prix which is essentially race day in Yamaha`s Technical Academy program. The event keeps skill levels for marine servicing in Yamaha dealerships throughout Australia and New Zealand at very high levels. The personal development of Yamaha technicians in the market through this training and testing equates to excellence in aftersales service for Yamaha customers, who consequently are the real winners from the knowledge and skills gained by Yamaha Technicians who take part in YTA’s programs. So if you would like to book in your outboard for a service with the best, be sure to contact the Northside Marine Service Department on (07)32658020.